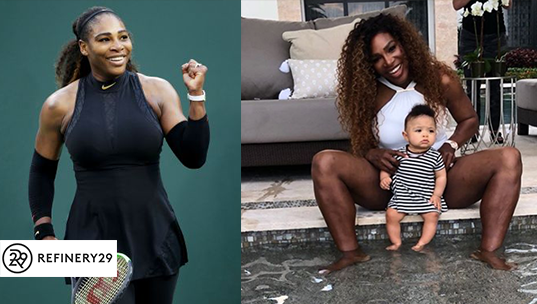 23-time grand slam singles champion Serena Williams discusses her difficult afterbirth and how embrace® helped her make her come back. 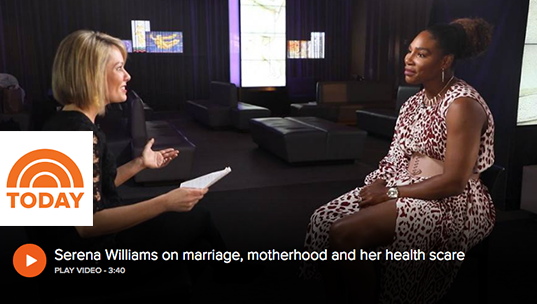 Serena Williams opens up on the Today Show with her health scare giving birth and how beneficial embrace® Scar Therapy was to her recovery. 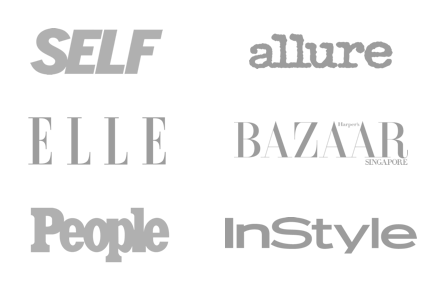 Tennis star Serena Williams shares her natural beauty products with the New York Times and no surprise, to expect results. 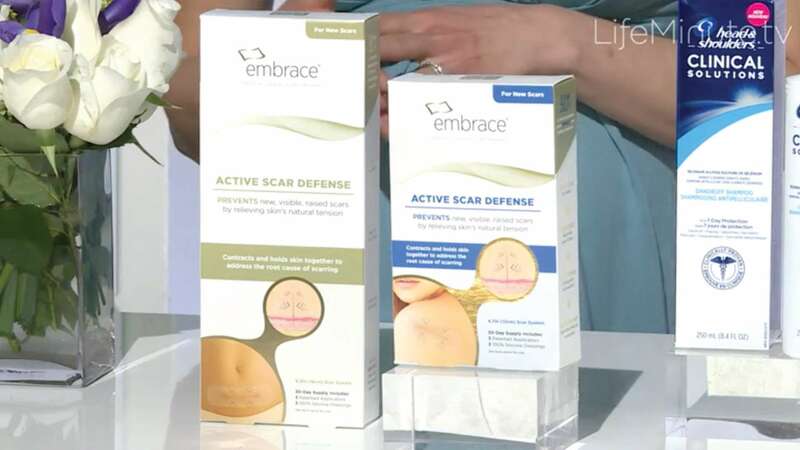 Her go to product that she has been using for her C-section scar before she became a ambassador for them is embrace® Scar Therapy. 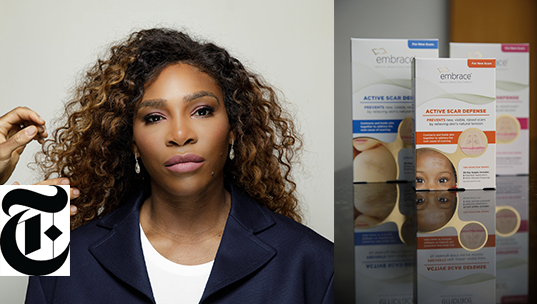 Serena Williams speaks out on behalf of her new partner embrace® Scar Therapy to help raise awareness to others about the benefits embrace gives for scar treatment and how this helped with the anxiety of having a scar. 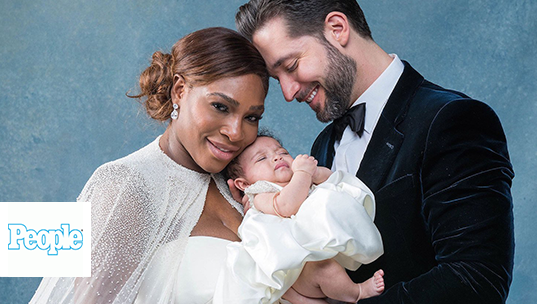 Serena Williams sits down with Glamour magazine to discuss her life threatening complications during her delivery. 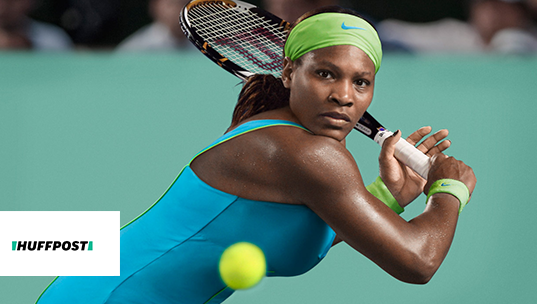 Williams, rebounded back like a champ, while having help from embrace® Scar Therapy. 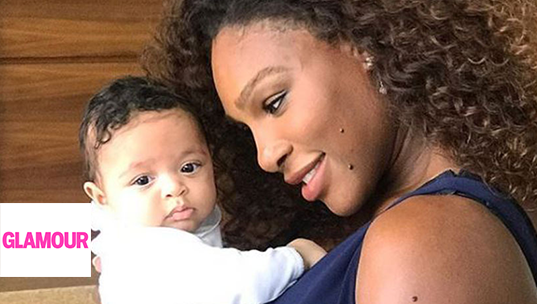 New mother Serena Williams talked to Refinery 29 on behalf of embrace® Scar Therapy which helped her return quicker to the court after her emergency c-section that almost took her life. 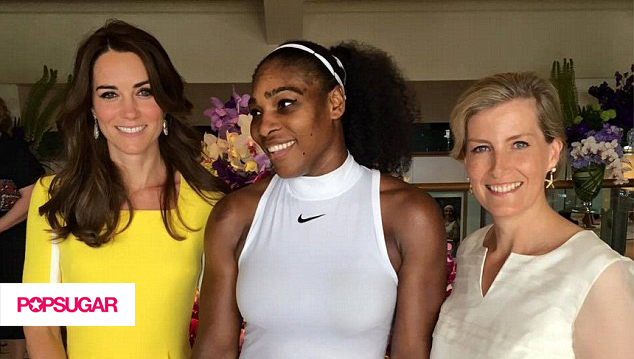 Power house mother Serena Williams speaks out saying Kate Middleton is on tough cookie after making a apperance only hours after she gave birth. 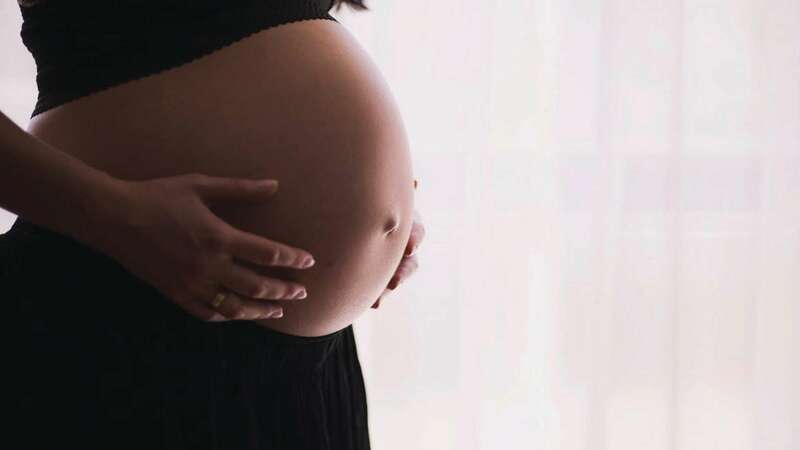 Popsugar got the opportunity to sit down and disscuss her hard afterbirth and how she was surprised by Kate Middletons recovery. 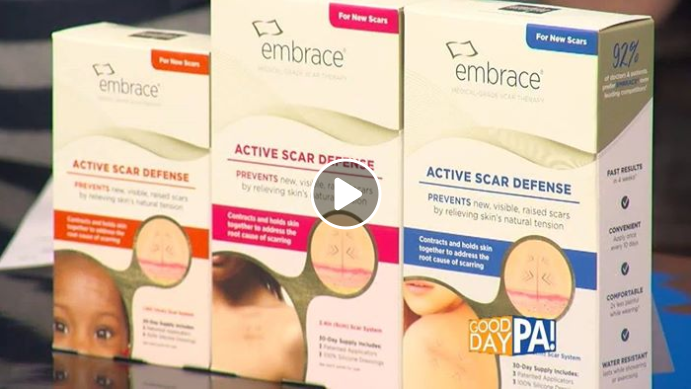 Williams gave regards to embrace® Active Scar Defense which she used to heal her emergency c-section scar. Bachelor contestant and travel blogger Lesley Anne Murphy is excited to share her incredible story and recovery with embrace®. 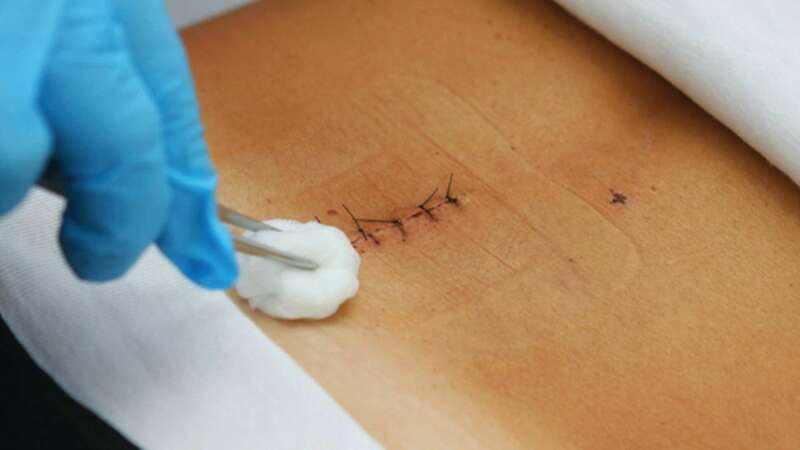 After treating her double mastectomy incisions with embrace® Scar Therapy, she is THRILLED with her results. 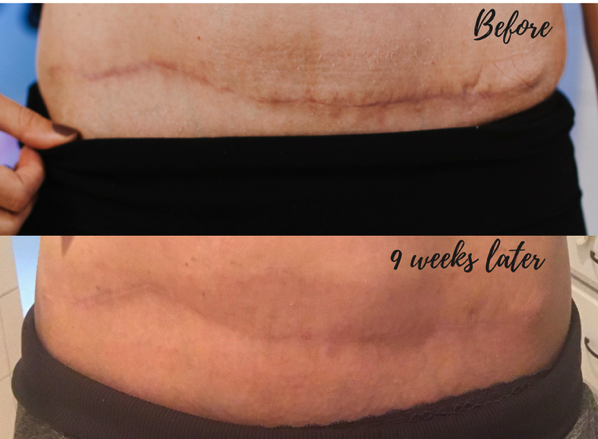 Fitness blogger Gina shares her amazing results after 9 weeks of treatment with embrace®. 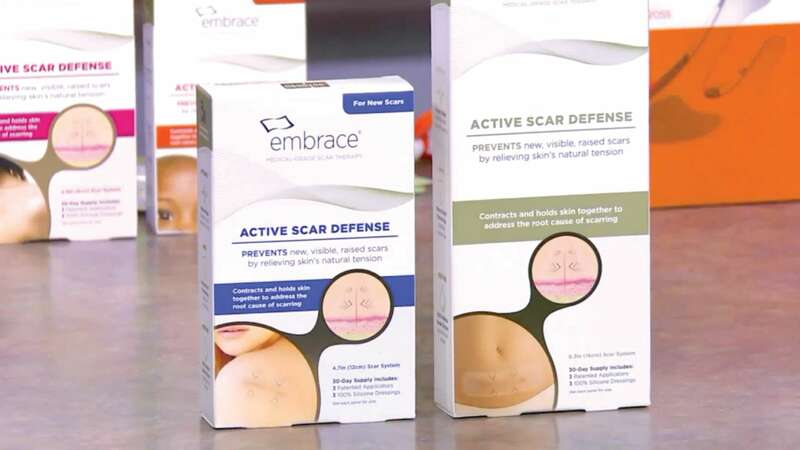 Check out fitness blogger Gina's amazing journey with embrace® Active Scar Defense. Grace Gold on Good Day PA: New Year, New You! For the following videos, Neodyne did not create or control this user-generated content, and these experts are current or previous advisors to Neodyne Biosciences Inc: embrace Active Scar Defense on extra TV, The Doctors Episode – 11/4/2014 Embrace Scar Treatment, KSAZ Fox10, Hallmark Channel – embrace® Scar Therapy, New Reflections Radio Show, KNXV News Clip, KNBC News Clip, and KTVK News Clip.